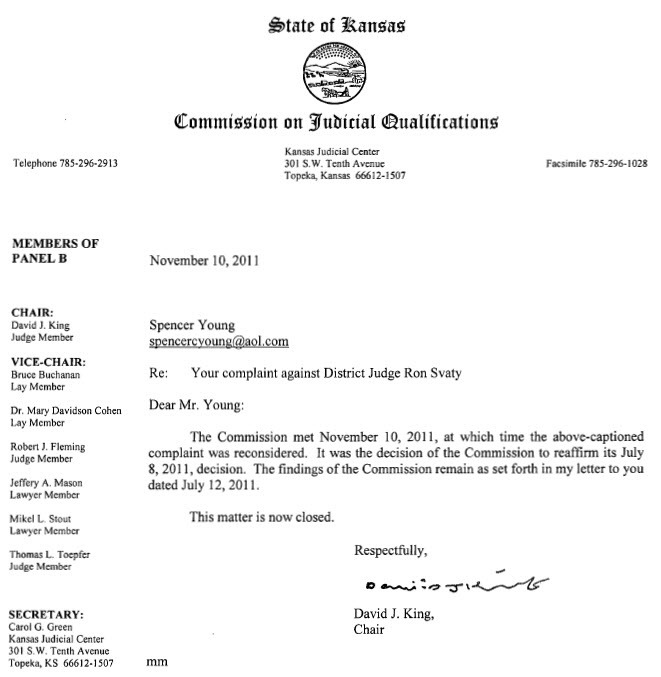 The below correspondence was issued yesterday to the Kansas Commission on Judicial Qualifications and widely circulated to the news media and others in response to the latest corruption-laden efforts to protect a reprehensible rural Kansas District Court Judge -- to wit, Ron Svaty, who represents a clear and present danger to the public. This is a perfect example of the type of judicial corruption that MUST be extricated, as Mr. Svaty is metaphorically best described as a malignant cancer who has been allowed to grow too long in the U.S. Judicial System. Ron Svaty has demonstrated a complete disregard for the U.S. Constitution with his Kangeroo-esque handling of a matter where he had no jurisdictional authority whatsoever. This scoundrel believes he is above the law -- He is NOT. I received your letter dated November 10 (reproduced below) . . . and here is my response. You are a disgrace to your role. 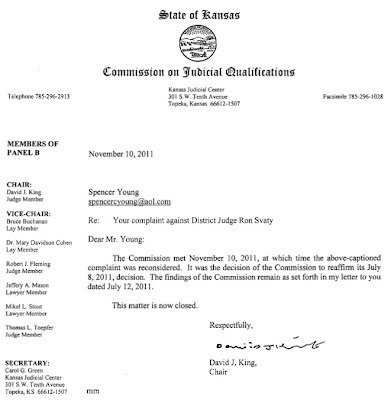 By AGAIN dismissing OVERWHELMING evidence without investigating these damning claims against the notorious scoundrel Ron Svaty, you affirm you are either: (1) part of the vast corruption that now chokes US Judicial System and mocks the U.S. Constitution; or (2) you are so profoundly incompetent, you have no business serving as Chairman of the State Of Kansas Commission On Judicial Qualifications (the “Commission”). Accordingly, please recuse yourself from further involvement and let someone handle it who will legitimately and competently investigate the charges. The Commission has long been provided enough evidence to skewer Judge Svaty a few times over – so read it, Godammit! And if you need a refresher, it is posted online (click here to access). With this communique, I submitting an expanded complaint against District Court Judge Ron Svaty, supplemented with an exposé, along with accompanying attachments, including evidence of extensive criminal acts by Leah Krier – who was granted full custody of three-year-old Jackson Spencer Young by Judge Svaty in an entirely fraudulent proceeding from a court with no jurisdictional authority. An important element of this supplemental information is Leah’s confession to having committed fraud and perjury, which effectively destroys the credibility of ALL of Leah’s claims, and is yet another reason to set aside Judge Svaty’s findings in this case. Her confession also establishes a basis upon which to criminally prosecute her and seek civil claims for significant damages. To appreciate the gravity of the situation Leah has created for herself, the audio file titled “Leah’s Confession” should be played in connection with reading page 9 of the attached PDF document because excerpts of the fraudulent documents she filed are reproduced on that page. And you will note these were filed with a North Carolina court, which is in fact the home state, where she and Jackson have always resided. As you listen to Leah lie, you can look directly at the documents she filed with the court, and see that they completely contradict what she is saying. And Leah goes a step further – in that she lies about her lying. Accordingly, it appears Leah is incapable of discerning fact from fiction and her lying may in fact be pathological – in other words, Leah just can’t stop lying – it’s in her DNA, so to speak. 5. Leah Krier is cruel and diabolical – as evidenced herein, Leah appeared to “snap” from the bank foreclosure fraud, and for reasons I don’t understand, viciously turned against me, even though I was the primary victim in the violent eviction. And while I have long tried to be a patient and understanding, Leah’s behavior has become so atrocious she has transmogrified into someone I no longer recognize, and who now exhibits a decidedly cruel and diabolical agenda. In addition to sending this transmittal to virtually every news media organization, activist group and relevant government official imaginable, I’ve raised this matter to the attention of President Barack Obama and Atty. General Eric Holder, for two reasons: (1) something must be done about the overwhelming level of corruption involved in trying to protect the monster who is Ron Svaty; and (2) in the context of this corrupt cover-up effort, Messrs. Obama and Holder might also be interested in knowing how Leah’s father (Roger Krier) refers to the President as “the N-word”. 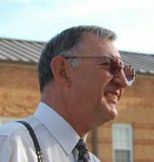 Click on the attached audio file (“Roger The Racist.wav”) and listen to Roger in a recent conversation (lawfully recorded pursuant to respective State and Federal law). THIS ISSUE OF REMOVING AND DISBARRING CORRUPT JUDGE RON SVATY IS NOT GOING AWAY UNTIL YOU MAKE MR. SVATY GO AWAY . . . so he may no longer terrorize US citizens. 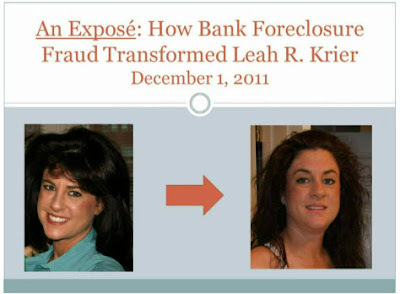 While the Exposé may appear harsh and embarrassing for Leah, it imperative to ameliorate the pernicious impact her fraud has had to date. And as I articulated in a voicemail message to Roger Krier (“Spencer’s Plea.wav”), I have no interest in being adversarial, and I have been pleading with Leah and her family to work WITH me instead of AGAINST me as I pursue reclaiming what stolen in the bank foreclosure fraud we were ALL victimized by.